An epic 6-minute jam from Jake Ilika’s alt-country four-piece The Heavy Set leads off this week’s show (recorded a day late, because of the River North Dance Chicago performance in Winona), followed by another four-piece with Winona roots: teenage alt-pop act Driftwood Bones. Music from electro-rock favorites Apollo Cobra (a band “bigger than the Beatles” in Winona) is also squeezed in before a 3 song set of psychedelic music from the Twin Cities, featuring tracks from First Communion Afterparty, Fire in the Northern Firs, and Is/Is. The Heavy Set track is from an EP currently used for promotional purposes, but which is in the post-production process with plans for a formal release as a split record with Jake’s solo material very soon. It’s been a joy to discover Jake and watch the development of the Heavy Set happen over the course of the past year through his weekly Wednesday night residency at Ed’s no name Bar. 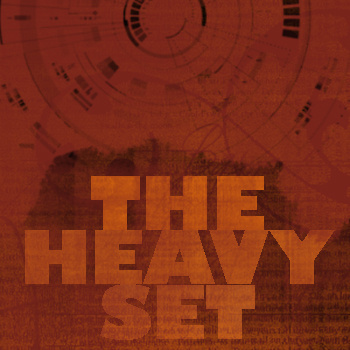 Look for more on The Heavy Set and a reflection on Jake’s musical residency in the near future.